In the heart of Park City, just up the road from where the bulk of Sundance's films are being shown is Main St. It’s not the place for those who have problems with the mountain air on the slanted avenue, or anyone uninvited to the many parties or swag outlets that advertisers are inviting celebrities to sample. For movie lovers though, if you are not seeing something at the Egyptian Theatre, you could be seeing something at the Slamdance Film Festival. Running almost concurrently with Sundance's dates, one can often sample films that the other fest in town could not find room for. Which is not to say this is a fest of also-rans as it has been the home of such premieres as "The King of Kong," "Dear Zachary" and Christopher Nolan's first feature, "Following." Was there another potential breakthrough film or filmmaker this year? Among the narratives this year, the jury singled out Britni West's "Tired Moonlight" about a maid (Liz Randall) in a small Montana town who scrounges around for discarded junk and reconnects with a poet (Paul Dickinson) who has come back to settle his mother's estate. Honorable mention went to Perry Blackshear's "They Look Like People," a tale of schizophrenic paranoia and the rekindling of a friendship hampered by the idea that one of them believes evil creatures disguised as humans are out to get him. Another honorable mention went to Nisan Dağ & Esra Saydam's "Across the Sea" which also won the Narrative Audience Award. Damla (Damla Sönmez) is a pregnant woman living in New York whose husband convinces her to take a trip back home to Turkey, unbeknownst that she moved away there for a reason. There is an intriguing setup on confronting painful memories of the past. Of course if the pain was so great, one would hardly be so accepting of the opportunity especially in the late stages of pregnancy. This is just part of what gets buried in the sand over the course of a very uneventful first hour until Damla comes directly face-to-face with her old boyfriend, Burak (Ahmet Rifat Sungar). Did he cheat on her? Abandon her? Assault her mentally, physically or sexually? When the film finally gets around to answering these questions, it is well past the point of our involvement in these characters' behavior. Damla is too quiet and pouty to ever justify her rationale for returning. Only Sungar's Burak comes close to a fully-rounded character, and, because of the distance we are asked to keep from him in light of the potentially damaging disclosure, any empathy is too clouded to make the journey worthwhile. Over on the documentary front, the jury's honorable mention went to Jeremy Royce's "20 Years of Madness" about the fall of a cable access show that was a prelude to more well-known personalities like Tom Green and Johnny Knoxville. But it was both jury and audience that agreed on Ben Patterson's "Sweet Micky for President," the story of how musician Michel Martelly made a run for President of Haiti backed by Pras Michel of the Fugees. It's an utterly unlikely tale that almost starts like a joke until he becomes a legitimate candidate against the backdrop of a corrupt government and public upheaval. Throw in a little opposition from Wyclef Jean and support from Haitian activist Sean Penn and you have the makings of an equal part real-life satire and a document for change where it seems impossible. Patterson's film is lively, candid and has the arc of a Hollywood underdog tale in the best sense. Activism also finds a strange bedfellow in "Dennis Rodman's Big Bang in Pyongyang," which chronicles the former basketball superstar's journey to North Korea and his newfound relationship with "supreme leader" Kim Jong-un. 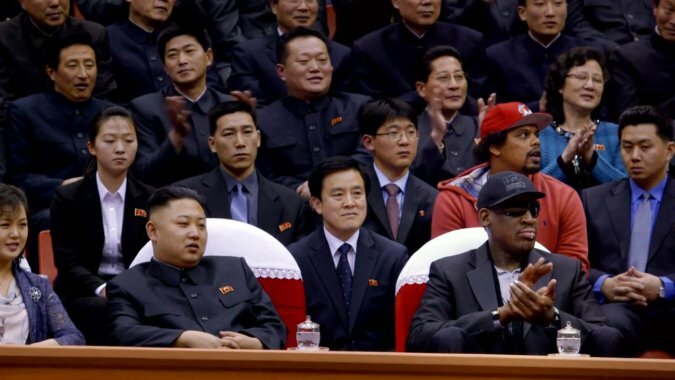 Slightly amusing in the wake of the recent scandal with "The Interview," the documentary gets seemingly unfiltered access during the trips that led Rodman and other players to organize a basketball game in the hopes of bridging some kind of world peace gap between the nation and America. What follows goes beyond farcical, especially as Rodman is seen making a drunken fool of himself in more than just that infamous ESPN interview. Colin Offland's film employs a constant narration that makes the film feel like a propaganda piece edited by the dictator's PR team (or, at least, a parody of one) and the idea that a flamboyant alcoholic as an ambassador is somehow better than the closed door tactic the American government has employed is a stretch that makes this feel like a sad reality show. Alcoholism gets a more knowing treatment in Steve Yu's "The Resurrection of Jake the Snake." Wrestler Jake Roberts was the subject of one-third of 1999's "Beyond the Mat" (the best third) and here we are 15 years later and things have not improved for the one-time WWE superstar. In the hopes of getting back in shape and being invited as a surprise guest for the annual Royal Rumble, Jake moves in with "Diamond" Dallas Page who has become a Yoga guru and self-help master in his second career. Yu's film never shies away from the difficulty in keeping Roberts' focus as he becomes belligerent and confrontational any time a hint of alcohol crosses his path. The harshness of these moments is what makes this comeback story so riveting and often painful to watch since each shimmer of light is often quickly shuttered by the darkness in Roberts’ soul. One does not need to have a background in wrestling to appreciate a story that practically feels like the inspiration for Darren Aronofsky's "The Wrestler," complete with the aches of a body breaking down and the reconciliations that make the road to triumph all the more potent. The mood is significantly lightened with Brian James O'Connell's "Bloodsucking Bastards." Slamdance seems to find room for at least one comedic horror film each year and this one certainly leans heavier on the gags than the gore (though it is plentiful, if mostly to comic effect.) It stars Fran Kranz (of "The Cabin in the Woods") as Evan, just another drone in an office where literally nothing seems to get done. With the arrival of a new boss ("Game of Thrones'" Pedro Pascal), production suddenly goes on the rise, and Evan is determined to get to the bottom of it. Maybe "determined" is not the word as he takes longer to catch on than Simon Pegg in "Shaun of the Dead" but to be fair he does not have the benefit of knowing the title of the movie. The end result is pretty fun. Goofy and ridiculous and back to goofy, but fun. Kranz and Joey Kern play the material as right as it possibly could be and if you are a fan of Scream Factory's line of special edition Blu-rays, you are in luck as Shout! Factory picked it up to join their growing cadre of indie genre efforts. Light fare such as that tends to work better nestled in-between intense dramas and coming-of-age memoirs, but it is hard to deny the films that tap into what makes us human either. That is why Dana Nachman's "Batkid Begins: The Wish Heard Around the World" is such a special experience and my undeniable favorite of the festival. Five year-old Miles Scott captured the attention of social media and the world when the Make-a-Wish foundation granted his request to be his favorite hero. The simple request turned into a production that would make most Hollywood films envious and the result is a story that is impossible not to get attached to on an emotional level. Kurt Kuenne, who made one of the (if not THE) most gut-wrenching documentaries of all time, "Dear Zachary", lends his writing and editing talents to this film which he calls "probably the greatest Capra-esque event of modern times." Forget the cynicism of it being a commercial for Make-a-Wish (as if that would be such a bad thing), ignore the criticism of the event's expense (a point quickly quashed in the film) and just give yourself over to a story that is like watching the creation of a work of art from its behind-the-scenes preparation (filled with some eye-wiping surprises) to its fully-realized unveiling. Kuenne noted, "While cutting it, the profound implications of this event became more and more apparent to me; if thousands of people could decide independently to be this kind and loving for a day - not just to a little boy, but to each other - couldn't we actively make that decision all the time? And why don't we? To me, it showed proof that we're capable of deciding to make this world a wonderful place if we really want to." Julia Roberts evidently agreed as she picked up the rights to remake the film as a narrative. 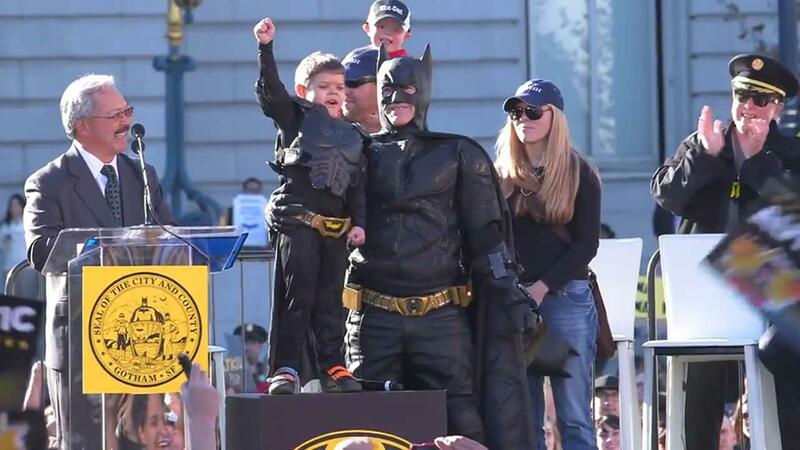 Hopefully that will not sideline "Batkid Begins" in any way since witnessing the actual events unfold allows an unfettered poignancy that could just as easily be lost through the manipulation of Hollywood storytelling. Nachmann's film is the ultimate feel-good story. Though it is easy to contrast "Batkid Begins" with "Dear Zachary"—tears of heartache are replaced with tears of joy—both films are about coming out of the other side of tragedy with a positive outlook for the future and rewarding the often thankless task of being a great parent. It also shows that film festivals are not just a place to discover new films and promising talent, but a great place to rediscover one's own humanity.